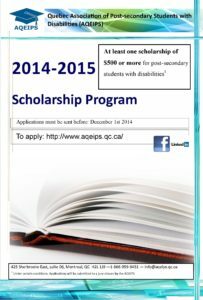 This program is intended for college and university students living with significant and long term functional limitations. You may apply until March 2012. For more information about the program, visit the Loto Québec website.